In 2009, Dutch anti-piracy group BREIN, representing the movie and music industries, took News-Service Europe (NSE) – one of Europe’s largest Usenet providers at the time – to court. BREIN argued that NSE must delete all infringing content from its servers, and in 2011 the Court of Amsterdam sided with the copyright holders. In its initial verdict, the Court concluded that NSE willingly facilitated copyright infringement through its services. As a result, the company was ordered to remove all copyrighted content and filter future posts for possible copyright infringements. According to the Usenet provider, this filtering requirement would be too costly to operate. It therefore saw no other option than to shut down its services while the appeal was pending. After several years of litigation and two interim decisions, the Amsterdam appeals court reached a final decision in the case this week. The overall conclusion is that NSE is not directly or indirectly liable for copyright infringements that take place through its service. However, the Usenet provider is required to offer a fast and effective notice and takedown procedure (NTD), possibly with additional measures. NSE is happy with the verdict which it characterizes as a big win. “We see the outcome as a total victory. The court of appeal completely destroys the earlier verdict. NSE did not infringe copyright and is not liable for copyright infringement,” NSE CEO Patrick Schreurs informs TorrentFreak. The takedown requirement is a moot point, according to NSE, which states that they already had this in place before they shut down. “The fact that we do need to implement a NTD is void. Even before the lawsuit started, NSE already offered an effective NTD-procedure. The Court of Appeal even considered in an earlier interim judgment that NSE’s NTD-procedure is sufficient,” Schreurs notes. BREIN had hoped for a better outcome but is happy with the takedown requirements the court included. The anti-piracy group also highlights that the judgment allows for possible additional measures, which could include a filter. “We are disappointed that NSE is not deemed to infringe but we feel vindicated because of the recognition of this objective,” BREIN Director Tim Kuik told TorrentFreak. “Let’s face it: People take subscriptions to download from Usenet because of the availability of infringing content. If that availability is lacking then the viability of this business model built on illegal use disappears,” he added. An earlier court decision found that a proactive piracy filter would go against the ban on general monitoring requirements. However, new copyright proposals put forward by the European Commission could change this position. While the verdict offers reassurance for the Usenet industry, it also provides rightsholders with a clear precedent to demand a proper takedown procedure. BREIN intends to keep a close eye on other Usenet providers, and won’t rule out future legal action. 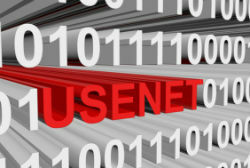 “We will work with rights holders and vendors to determine whether Usenet providers are up to par. As in the case at hand, we are always willing to look for cooperation. However, if we find providers that are unwilling to come to an understanding and live up to their responsibilities then we will take them to court,” Kuik says. Both parties still have the option to take the case to the Supreme Court, but this hasn’t been decided yet. NSE itself did clearly state that it’s not relaunching its Usenet service. It could, however, start a separate case to ask for compensation for the losses suffered as a result of the shutdown, something BREIN also mentioned in court. NSE CEO Patrick Schreurs couldn’t confirm or deny this but noted that the case isn’t over just yet. “All I can say right now is that this isn’t the end,” he told us.